Artwork in the Minnesota State Capitol shows American Indians being “civilized,” losing land to treaties, and being defeated in battle. The art tells a very slanted version of history; and portrays American Indians negatively. This artwork has long been a sore point, particularly given that it hangs in the building where laws are made. However, the Minnesota State Capitol is undergoing a major renovation, a once-in-a-lifetime opportunity for change. The state created an Art Subcommittee to make recommendations about the art. The Subcommittee includes two noted American Indian leaders: Gwen Westerman, Dakota, a University of Minnesota-Mankato professor, and Anton Treuer, Ojibwe, a Bemidji State University professor. The capitol art debate is similar to the debate about flying the Confederate Flag over the South Carolina statehouse. Both involve a battle over symbols. In the Minnesota context, the questions are: Do these paintings and symbols reflect the best of our heritage and values? What do we do with art and symbols that are unwelcoming and hurtful? Here are brief descriptions of some of the most problematic art. None of this art has any historic interpretation. The Discoverers and Civilizers Led to the Source of the Mississippi (Senate Chambers): The painting shows an Indian man and young woman and the spirit Manitou cornered at the Mississippi’s headwaters. They are surrounded on one side by “discoverers” and on the other by “civilizers.” Angelic beings guide the discoverers and civilizers, signifying divine intervention. The Indian couple looks afraid. The young woman is half naked, both offensive and a false representation of customs. The group of “civilizers” includes a priest with a cross, and behind the priest crouches a man restraining two angry dogs, signifying imminent threat. 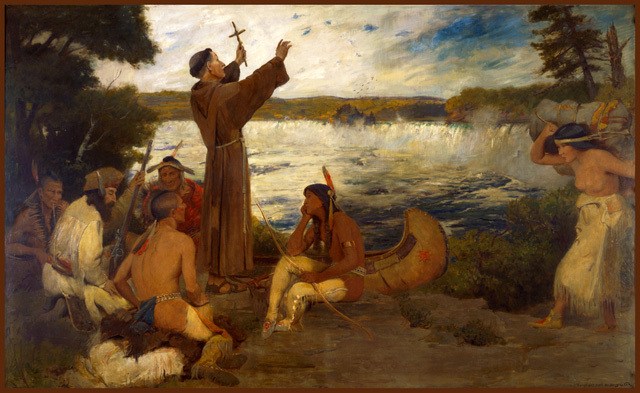 Father Hennepin Discovers the Falls at St. Anthony (Governor’s Reception Room): The painting shows Father Hennepin at the falls, renaming it after his patron saint. The term “discovers” is wrong. Hennepin stands in a position of authority, towering over the people sitting below him, when in fact he was a Dakota prisoner at the time. At right, the painting shows a half-naked Dakota woman carrying a heavy pack. Her lack of covering is historically inaccurate and offensive, an apparent effort to show her as uncivilized. Treaty of Traverse des Sioux (Governor’s Reception Room): The Dakota ceded almost all of their land in this 1851 treaty. The painting depicts the negotiation as calm and fair. It was not. Battle of Killdeer Mountain (3rd floor conference room): This 1864 battle, Minnesota troops had been sent far into Dakota Territory to punish Dakota people for the 1862 war and create access to western gold fields. The painting shows Minnesota troops firing on an Indian encampment. Many Dakota and Lakota under attack were not hostile to the U.S. and had nothing to do with the 1862 war. Minnesota–Spirit of Government (House Chambers): This sculpture includes the saying: “The Trail of the Pioneer Bore the Footprints of Liberty.” Rep. Diane Loeffler, the Art Subcommittee tri-chair, has suggested removing those words. At minimum, this art needs better interpretation so people know the history and symbolism. Better yet, some art should be moved to a museum. The solution also needs to include adding new art that reflects our state’s current cultural diversity. Thousands of school children tour the capitol each year, students of all colors. There is little in the current art that tells children of color they belong in the capitol. Minnesota could consider approaches used by other states. For instance, the New Mexico State Capitol showcases works by contemporary New Mexico artists. 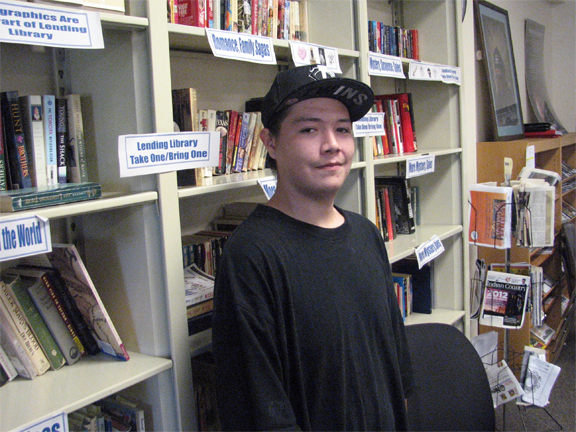 Alaska created space to feature student art. A group called Healing Minnesota Stories and art teacher Rachel Latuff collaborated to get Minnesota students creating alternative capitol art. [Full disclosure: I volunteer with this organization.] 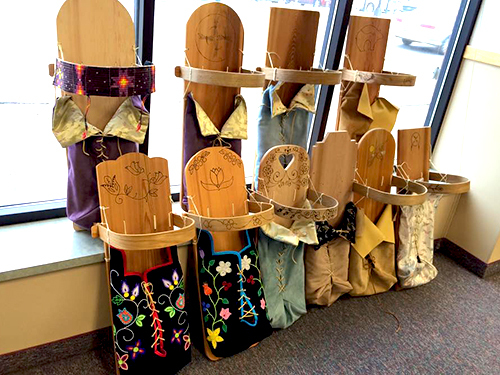 Three schools have participated so far, including Oshki Ogimaag, an Ojibwe Elementary Charter School in Grand Portage. The Art Subcommittee will hold public hearings in Bemidji, Duluth, Rochester, Mankato, and the Twin Cities. Dates include: Rochester on Nov. 10, Rochester Area Foundation Community Room. North Minneapolis on Nov. 12, Minneapolis Park & Recreation Board Admin Building. Willmar on Nov. 16, Ridgewater College. And Mankato on Nov. 23, Ostrander Auditorium, Minnesota State University. For times, see: http://mn.gov/capitol-restoration/art. For more info, visit: http://mn.gov/admin/ capitol-restoration/about/preservation-commission/art/ for announcements. Sign the petition asking the state to remove the most offensive art at: http://tinyurl.com/oz8xdzo. Scott Russell volunteers with Healing Minnesota Stories.